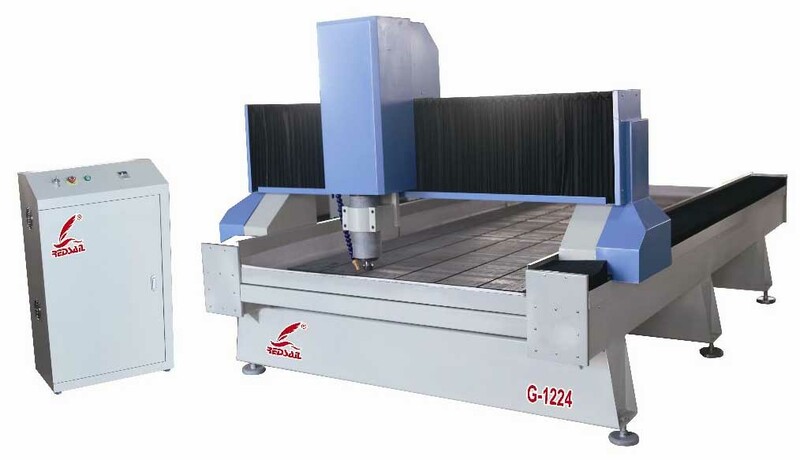 The machine adopts steel seamless welding, it really rigid deformation, we installed steel plate at the back of work table, high strength and rigidity is good, the machine can reach a ton or more load – bearing strength. Adopted advanced USB embedded DSP handles the operating system, the operation is more simple, more user – friendly design, using a unique intelligent budget law, give full play electric potential to achieve high – speed maching, qulinear synchronous output. Read U disk file directly, completely off – line work, does not take up computer resources. Having the power continued carving, power failure recovery features. Constant power spindle motor makes the cutting intensity and more efficiency. Well compatibility, compatible software CAD/CAM, such as Type 3, Artcam, Castmate, Wentai CAD / CAM design software and etc. Perfect tool cooling system, effectively improve the tool's life. Improved oiling and maintenance system, a comprehensive and effective lubrication to extend the service life of machine. Redsail CNC Stone Routers are fit for engraving and cutting on bluestone, marble, granite, marble, sandstone, glass, stone carving and etc.